I just got back from speaking at my very first conference and it was very focused and very good. I got to talk about my marketing system and my free marketing course. The theme this year for the conference was to 10X your business — increase something in your business by 10 times the size. It was good because it was very focused. One of the things that I noticed while there was that not everyone was as prepared as they could be. Along the whole conference, I think I was the only one that had a “Go here for more information” at the end of my talk — a call to action. Now, what I have provided is a free marketing course. Anyone can get this. Simply go to www.freemarketingcourse.co. If you are in the USA, you can text the phrase “freemarketingcourse” — just like that with no spaces — to 33444. So — let me tell you what’s in this free marketing course that I am offering. First Off — It’s Free! 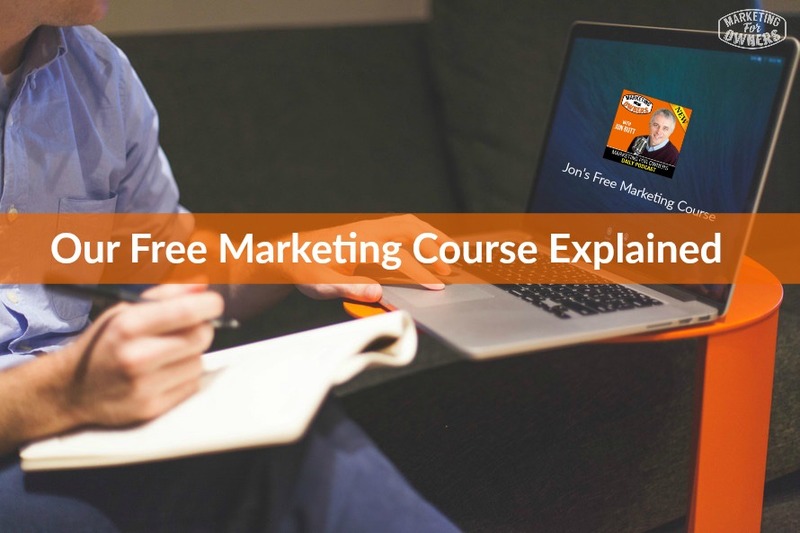 Now, for those of you who are cynical, and think that nothing in life is free, this marketing course is free! I promise. When you sign up for the course, all you are asked for is your email address. You are not asked for any credit card information, or any bank info. Just your simple email address. Even if you decide to text in, my business does not get your cell phone number, so you won’t be receiving spam texts or phone calls from us. We just simply want to know where to send it. It will arrive over a period of 12 days, with 12 daily lessons. Now, some of them have 2-3 videos (because this is video based), but those videos are only about 5-10 minutes long. These videos explain the full marketing system. I talk about my Perpetual Sales Cycle course, but many of you want to know how that actually works. You want to know how I incorporate that into my podcasts and blog and I talk about how I use that and everything in it. You Will Be Learning . . .
What you need in your website. How to pick your domain name. How to pick your your hosting. These things are not as simple as you may think. If you have already done it, of course you can change. I simply explain to you how best it is done. I also talk about how to put your website together and how simple it is . You really do not need web designers. Honestly it is very easy if you know how, and we explain how to do that. I also talk about simple plugins — it’s like adding apps to your website that help it function at its best. Then we move on to social media. I talk about the things you should be doing in social media like platforms you should use and the platforms you don’t want to use. I talk about which ones are best to use and which one are the most suitable for you. Then I talk about how to find your ideal customer. It’s no use going out with a scatter gun and spray and pray and hoping you find some customers. It’s no good just sticking an ad in a newspaper hoping someone sees your ad. You should only be spending your time advertising to the people who are only genuinely interested in your product and service. So we need to know who they are and I spend time explaining how to figure that out. That one thing alone with save you thousands if you are paying to advertise. Even if you are writing stuff for free, you are still using your time, and time is money. We need to get down to who our ideal customer is. We may have different views of who our ideal customer is so we pick the most likely ones. Then I talk about how do we get them on to an email list, because that is what it’s all about. it all comes down to list building. By list building and getting their details, then you can start to build a relationship with them one and one. I talk about how to get their details and how to build that list and really, that’s what it is all about to me. You can talk to me until you are blue in the face, but I love to see how others are doing it. Show me a load of examples that will give me that aha feeling. Then I can show you how to emulate that in your business as well. You might be thinking — “Oh I shouldn’t copy anything”, but did you know that the top advertisers around the world find the top adverts and they copy those? If it is working for someone and you think it will work for you, copy it. Quite obviously you are going to change the picture and the text, therefore you are not copying, you are just using that same style. One of the next things we talk about in the course is how to build relationships. The main goal is to get them to know, like, and trust you but how on earth do you do that? The way you do that is to build an autoresponder series. All this is is an email automated sequence series and I explain how to set one up and how to use it. Then they become a purchaser. Once they become a purchaser, then we want to move on to getting them to buy again and become a repeat purchaser. Once they become a repeat purchaser, then we get them to buy again and then they become a regular customer, and when you don’t let them down, they will stick with you because there will be no need to go anywhere else. Then you get people who trust you and once they are at that point, they will tell others. and then you have an entire system of referrals. Now, this isn’t the type of referrals you get asked about from the insurance guy. This is done in a way where your customer gladly does it. I asked at the conference, how many people were looking forward to the Iphone 7 and 3 people raised their hands. There isn’t even an Iphone 7. Eventually there will be a new phone out there and we know we are all going to get it because we just love Apple. So I explain how to get your customers to be just like that. You want them to gladly recommend your stuff, and gladly share your posts, and gladly be excited about your business. Then the system perpetuates. You have new fuel for the cycle and that is why it is called a cycle because it goes around and around and around. All of this is explained in a completely free course. Hopefully that will give you a taste for it and then maybe some of you will want to know a little more, at which point we have a new member side — The Owners Gold. Many of you are in the Owner’s Club– which is where you get the free extra details and things that have been shared on the blog. But in the Owner’s Gold — that is where the nuggets are! That is where all the training courses and extra things will be, for a very low monthly price. Today is Thursday and that means it is time for a drive time podcast. 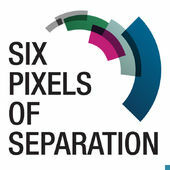 Today our podcast mention is Six Pixels of Separation from Mitch Joel. This is an extremely experienced podcast. It is weekly and it is very popular. He is great and shares loads of great information. Be sure to check him out. Now — go sign up for my Free Marketing Course — remember — freemarketingcourse.co.